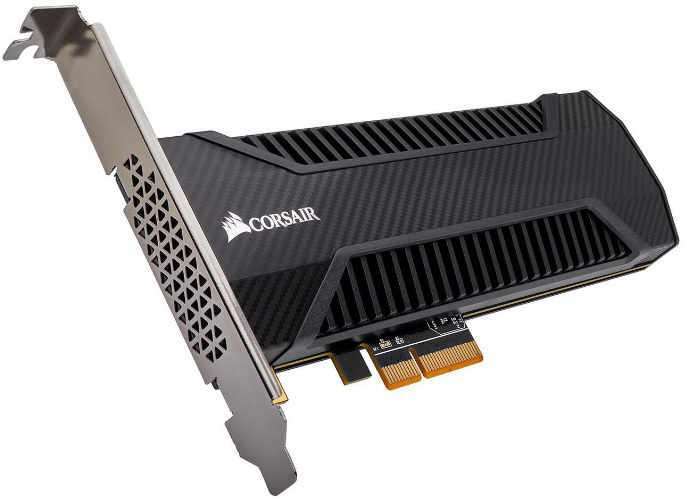 Anyone in the market for a performance SSD may be interested that two new Corsair Add-in Card NVMe SSD have now been spotted being advertised on the Newegg website. Online retailer Newegg is currently advertising the Neutron NX500 solid state drive (SSD) as in stock and ready to ship, with the NX500 400GB priced at $319.99, and the 800GB a priced at $699.99. – NVMe Interface: Up to 5x faster read and write speeds than SATA 3.0 (6 Gbit/s, 600 MB/s). – Ultrafast sequential read/write and IOPs – Mind-blowing speed: Ultrafast sequential read/write and IOPs. – PCI Express SSD 3.0 x4: Transferring data over PCIe drastically boosts bandwidth, producing speeds unmatched by SATA connections. – Highly effective cooling: Specially designed heatsink is built for efficiency to keep your games running at peak performance. – Multi-level cell (MLC) endurance: Improved reliability and performance over Triple-Level Cell (TLC) SSDs. – Enhanced error correction: Additional error bit correction and improved data retention while supporting the latest generation, high endurance MLC NAND. – Static and dynamic wear-leveling: Evens out the distribution of program/erase operations on all available blocks to increase lifespan. – Advanced garbage collection: Support for over-provisioning, secure wipe, disk cloning and firmware updates. – Compatible with CORSAIR SSD Toolbox: Monitor S.M.A.R.T attributes and overall SSD health.